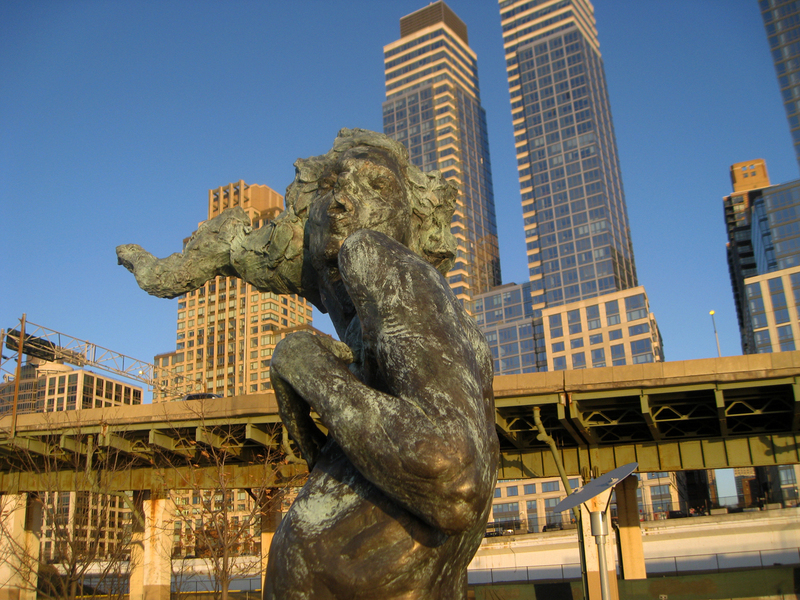 NEW YORK—Yesterday, was beautiful—perfect for a stroll along the Hudson River where seven sculptures are on view from 59th to 72nd streets. 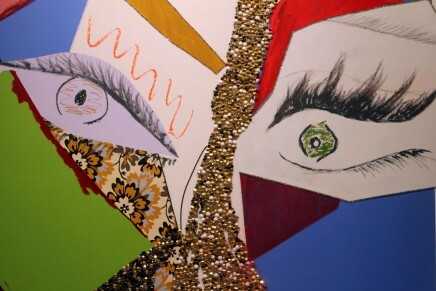 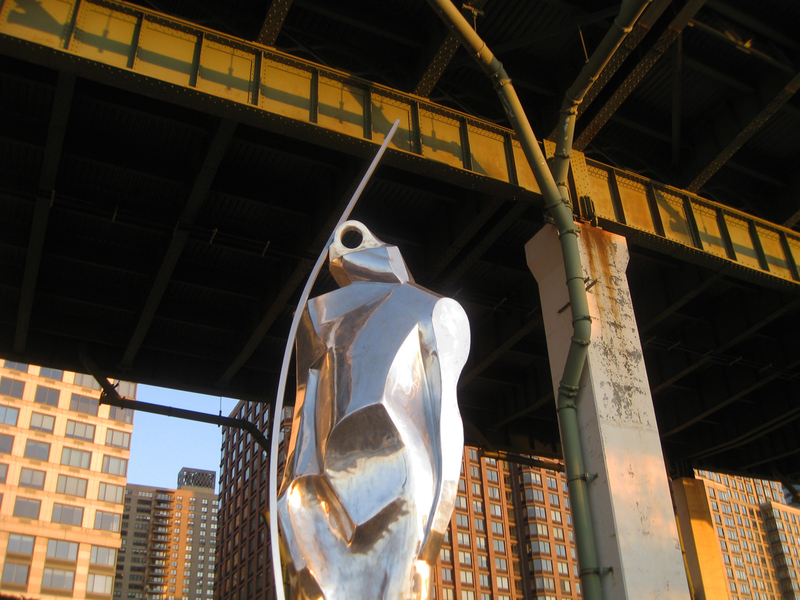 The series of abstract and figurative works was created by students from the Art Students League of New York who studied for nine months with master sculptor George Wyatt to complete the installations. 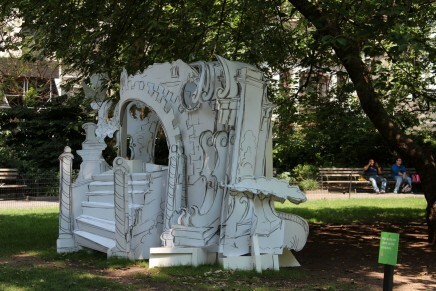 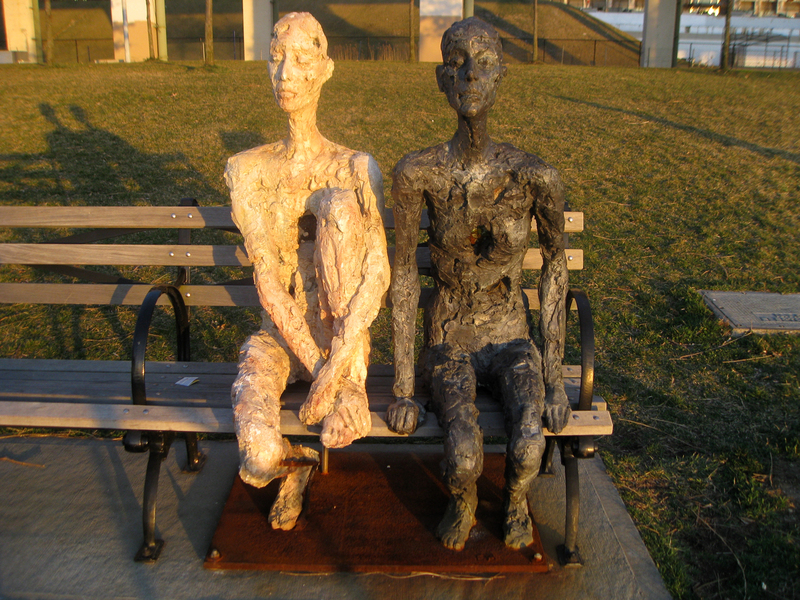 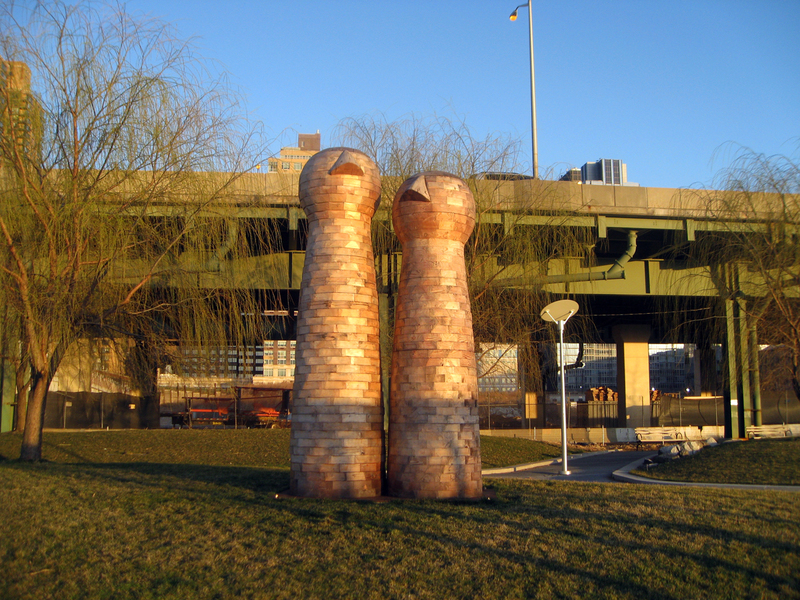 The sculptures are a part of the Model to Monument program, a collaboration with the New York City Department of Parks and Recreation’s public art initiative and will be on view along Riverside South until May 2012. 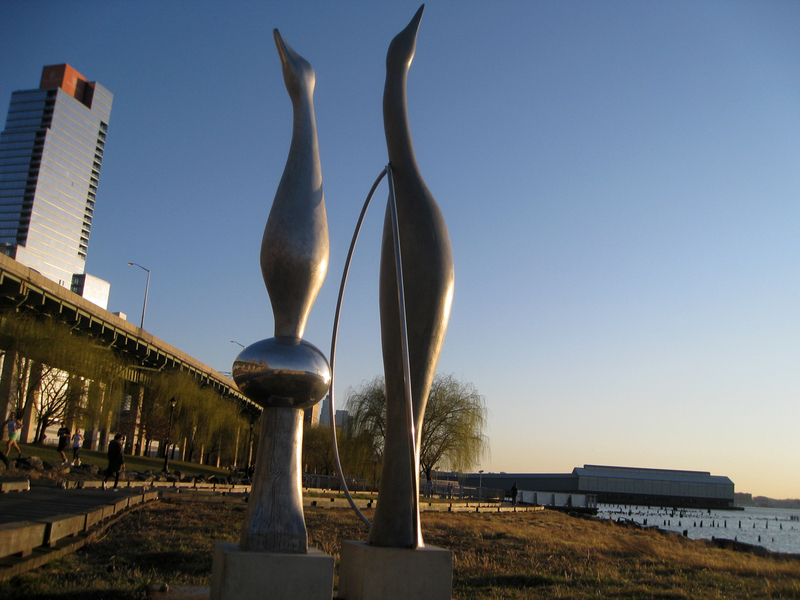 Above, “Flight: Past and Future,” 2011 (aluminum and cast stone) by Selva Sanjines. 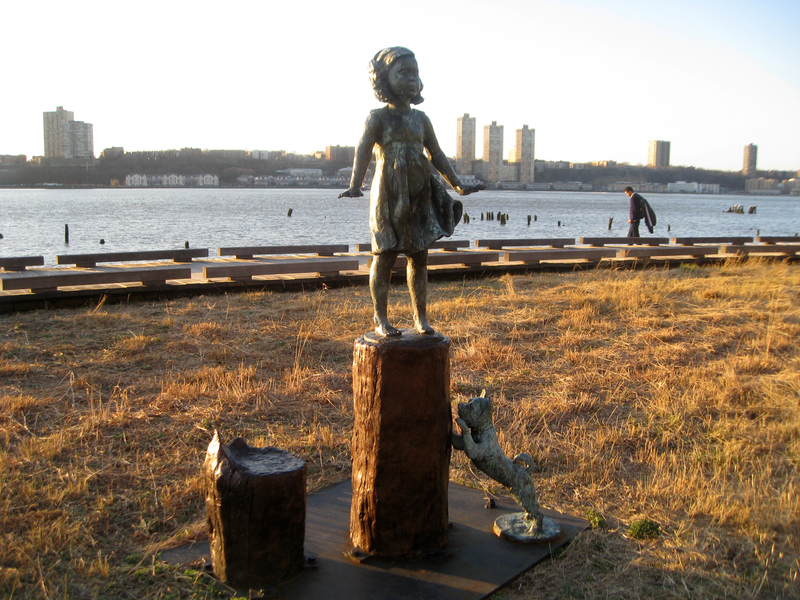 Top of page, Detail of “Seiren,” 2011 (bronze) by Matthew White. 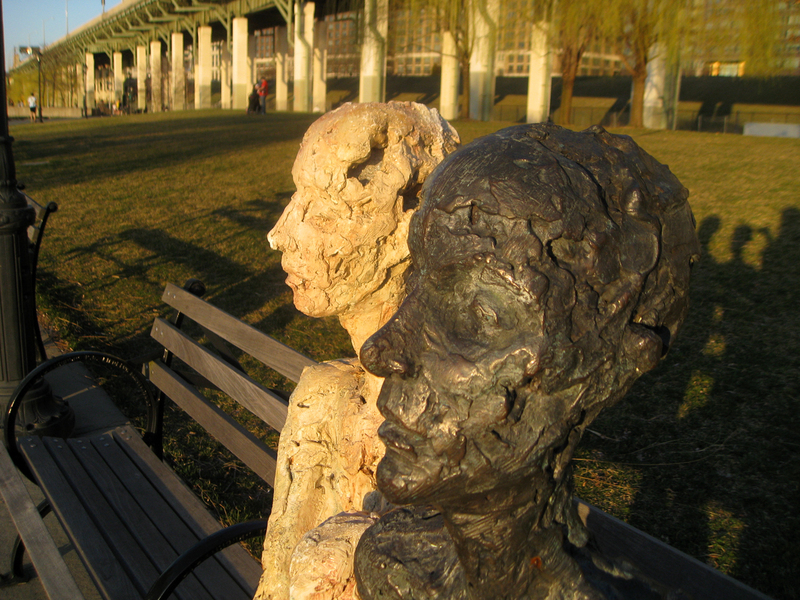 “River Gazers,” 2011 (bronze and cast stone) by Elizabeth Allison. 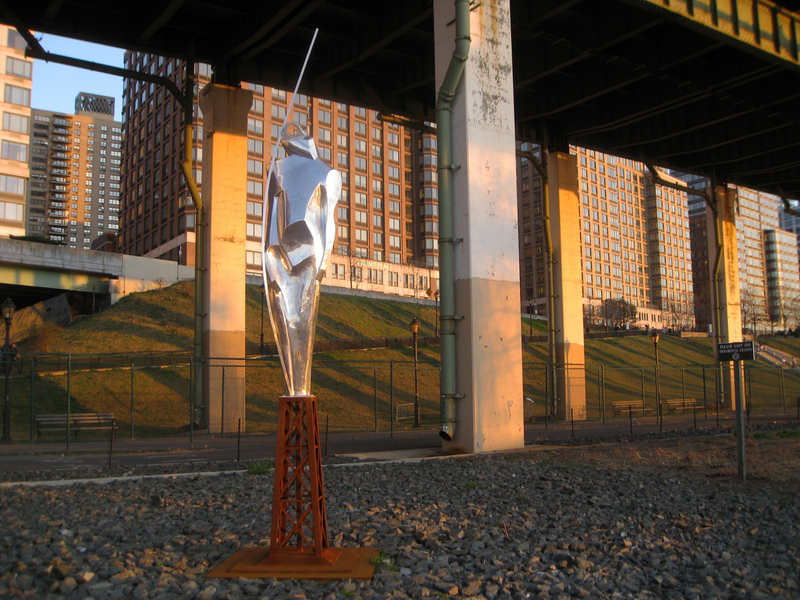 “The New Age,” 2011 (aluminum) by John Balsamo. 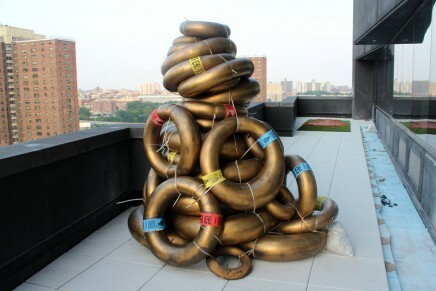 “Looking Up,” 2011 (bronze and cast stone) by Allston Chapman. 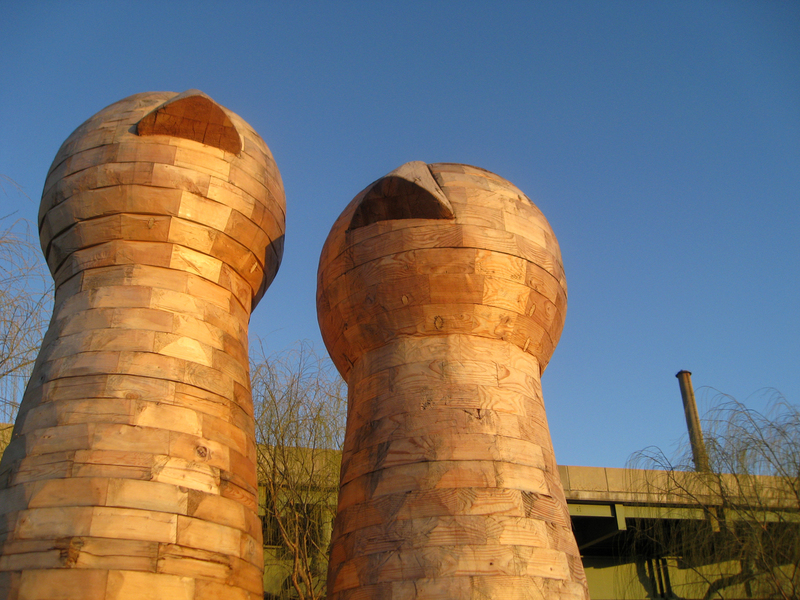 “Forever,” 2011 (wood) by Akihiro Ito.